The Hobbit : Hardcover $13.59 Paperback $6.28 Text: Exactly the same Coffee spill: Pretty much the same result. Well, maybe a little worse with the paperback, but if you buy another, you’re still ahead, and I’m sure you will have learned your lesson about drinking coffee and reading by then. In the endless pursuit of publication I’ve come across a few sites that are only accepting works that fit their theme or style of the month, like stories that take place in a hatbox, or characters who speak in Haikus. Ok, those are made up, but I actually came upon one that only wanted stories written in annotated triptychs. No, really! So here’s what I think. If you already happen to have a story in that form, that is called writing. If you intentionally write one in that style, because the site might consider it, that is called an exercise. Although if you are an artist and someone pays you to paint their portrait, that is called a commission. And if anyone wants to commission me to write a story in annotated triptych form, I’m sure I can do it. ‘Scrambled Feet,’ a review about life in the theatre that played the Village Gate for two years, had a couple of my favorite lines ever. 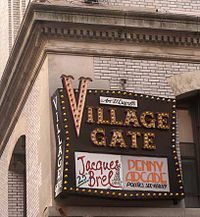 Raise your hand if you’re old enough to remember the Village Gate. Oh, come on you guys. It was open until 1993. Yesterday’s link reminded me of the various ways I was treated at auditions in my powerless actor days, and the reason I try to treat auditionees nicely, even when they come in unprepared, or they’re not even a little bit like what we asked for in the notice, or they walk in pushing a luggage cart with a large pumpkin on it. Yes! That actually happened! Stumbled on this today. It’s by Janet Reid, an agent, about treating writers decently. There’s a concept! 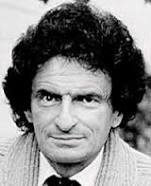 I once had dinner with a famous TV anchor. He didn’t say anything of any significance to me, which wasn’t surprising, since there were 50 other people there, and also it was Wolf Blitzer.